On the morning of Wednesday 27th March 2019, I visited the Chinese University of Hong Kong (CUHK). With around 16000 undergraduate students and about the same post graduates, this is a large campus university founded in 1963 and is located in the New Territories of Hong Kong. The setting is very much sub urban, and stepping off the dedicated MTR (Hong Kong’s metro) station “University” you find yourself pleasantly outside the pace bustle of the pulsing metropolis. The University is nested in a series of green hills with views of the sea. Despite the name, the language of instruction for the majority of courses is English and degree programs last for 4 years in the main although there are some exceptions (Medicine and Education courses being two examples). Bilingualism is encouraged, and international students may be required to take courses in Mandarin or Cantonese but ability to speak either of these languages is not a requirement of entry. Instead applicants need to have a minimum of a C in GCSE English or, for IB students, be on target to score a 4 in either English A or English B. For most programs these are the minimum language requirements to be able to study here, although some programs may have slightly more rigorous requirements. As always check the program requirements. Students can select three programs on application and IB applicants will need at least 30 points and significantly more than this for some programs. They claim that they use student performance data at the university to work out comparisons between applicants with different educational backgrounds. The university develops new programs regularly for example they have introduced AI this year. IBDP Student can get up to a year advanced standing although many opt to take less. Admission selection decisions are made by the program faculties and not centrally. CHUK runs summer programs for Yr12/Grade 11 students in their summer holidays. This is currently a 2 week residential program where students take 2 courses each with 15 hours of instructional time. Very interestingly, the university has a collegial system. The collegial system allows students from different programs to live together, and runs in similar lines to UK universities with a similar system. In these colleges students take some general education courses and have a range of social and sporting events that they can take part in from formal dining to teams sport competitions against other colleges. They can indicate preference for colleges after they have been accepted. It is the only university in Hong Kong with this structure. Non-local students are guaranteed residence for 3 out of 4 years and can apply for it in their 4th year. Housing is only 1500USD per year. In the afternoon of Wednesday 27th March I visited the campus of the University of Hong Kong or HKU for short. 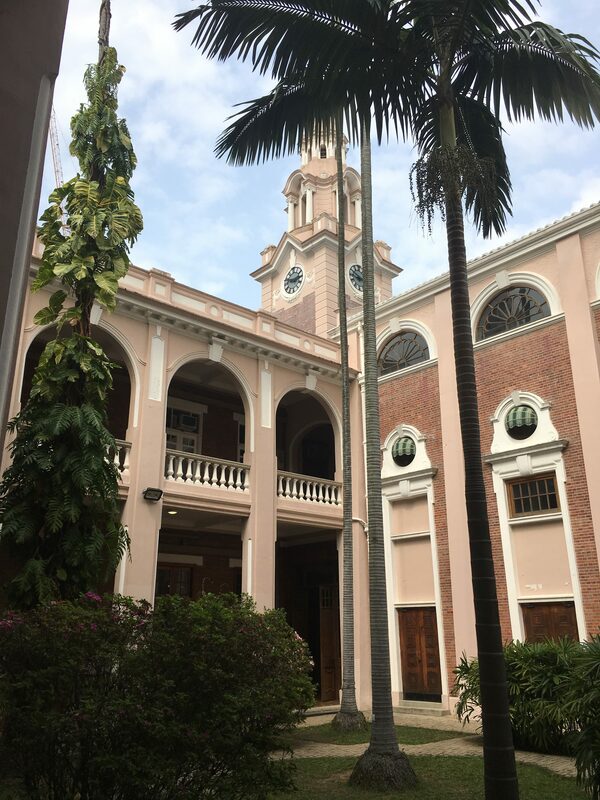 HKU is a campus university located in the heart of Hong Kong Island and is the oldest of the nine universities in Hong Kong. So old in fact that it’s imaginatively named “main building” is in fact listed and persevered from being demolished to allow the construction of yet another sky scraper. 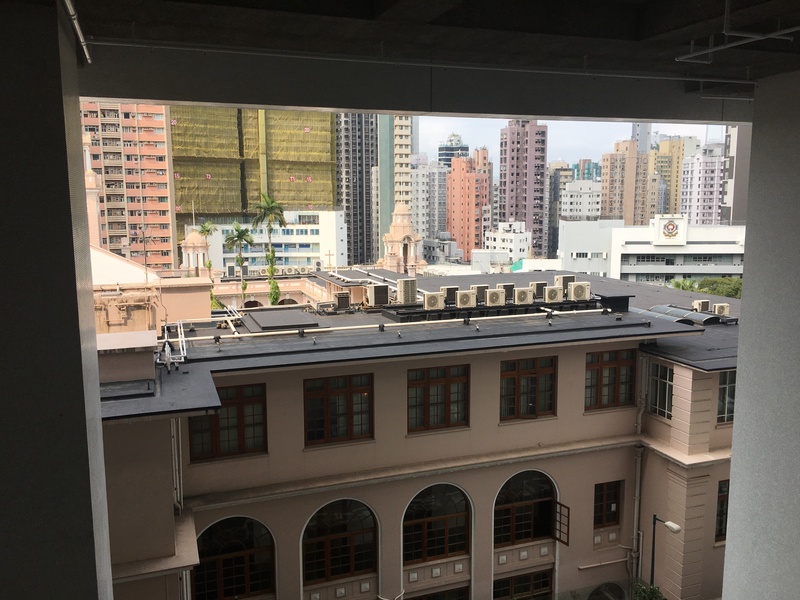 HKU is a campus university, again served by its own MTR station “HKU” but it is stuck right in the cut and thrust of a thriving modern metropolis and therefore has a very different feel to either CUHK or HKUST. It is a large research-based university with academic focused undergraduate programs. The University campus is spread out East to West facing the bay. Students apply directly to the programs that are of interest to them and the offers of admission are made by the program faculty. In an unusual move for a Hong Kong university, HKU has recently published its entrance criteria for its programs although they are keen to stress that the figures represent the grades attained by the lowest performing students, as measured by examination data, admitted to their programs. Interestingly students can take degrees at HKU combined with other universities in the UK, France and the US. Students on these courses have the ability to graduate with degrees awarded from both partner institutions. Both these universities, considered by many to be the best universities in Hong Kong, offer very different living experiences for students. 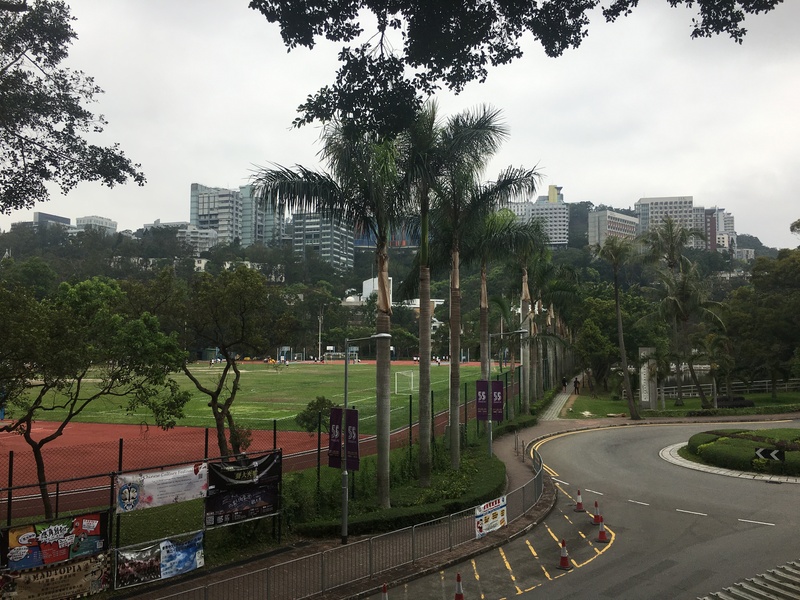 Both are well connected to the city via the MTR but CHUK is greener and possesses a more open sub-urban environment, with the possibility for students to get outdoors for hikes from its doorsteps. HKU being located in the heart of the city is surrounded and hemmed in by skyscrapers giving students easy access to the heart of the city.